What to do if I want to become a travel agent? Do you need a license to be a travel agent? Do you need any degree to become a travel agent? These are some of the questions you are having in your mind. We have many such questions covered in our post. All answers are being provided in detail. There are many people who attract to this career. As this career has many perks and discounts for traveling. You can get cheaper travel packages for yourself. You have the opportunity to see the world on a constant basis. Get paid well if you provide good offers and advice to your client for their travel bookings. There is a competitive market waiting for you if you want to become a travel agent. Starting early in this career is nice. As you grow older there is less possibility of you to travel more. You won't be able to travel with your clients as you do at a young age. (if you are handling groups or corporate). To become a travel agent you need not have specialized skills or higher education. There are some general requirements which are easy to fulfill. We will go step-by-step in this process. Second, Understand what kind of travel agent you want to become. Third, we will make you understand what education you require. What training courses and degrees you can opt-in for. And Ways to become a travel agent after proper certification. 1. What Does a Travel Agent Do? We have some of the general things listed which a travel agent has to do on a regular day. Air ticket bookings for domestic and international travel with proper time management. Handling all documentation, payments, confirmation receipts, visas, vaccinations. For the booking, you have made for the client. Responsible for group tours or individual tours package design. Selection of accommodations in safe, budgeted and proper location as per clients requirements. If any emergencies arise from the client's side. You have to be responsible to solve it immediately. Plan stress-free travel packages for clients. Taking care of client satisfaction. Maintaining each record until the client is back from the tour. Making the client aware about the place he/she is traveling to. Currency arrangements for the client is an added advantage. Booking local transport for the client at the destination place. Survey good local guide and provide it to the client if they request for the same. Give suggestions to the client for local adventures. Suggest tourist places to visit at the destination your client is traveling to. Making client aware about the local laws of the places he/she is traveling to. Ensure and communicate with abroad person to provide proper services to the client. Ensure your client is up to date with all the information on traveling. If not, make him/her understand in a knowledgeable way. 2. Basic Salary of a Travel Agent. If you become a travel agent you will earn approximately $40,000 annual salary. Most of the people earning this amount are working under travel agencies. If you start your own business you have an endless chance of earning. As per your potentials. The data shows that approximately 19 percent of travel agents are self-employed. Due to growing social media. Travel agents can market themselves in a very easy way. If you focus on a particular destination and become an expert in that. You have more chances to grow in comparing to others who are focusing on several locations. 3. Select Your Travel Niche. There are many sub-segments you need to explore. Do not become a travel agent for all people and all kind of destinations. Specialize yourself for something you have an interest for. There are chances of more client satisfaction when you do things at your best and you are an expert at it. There are two types of main segments. One is the corporate segment and other is the leisure segment. Chose your segment according to your choice and interests. If you ask me I will choose to become a travel agent for corporate. There are bulk opportunities. If you focus on providing your services to corporate people. When you work for a corporate company you get an exploration of both fields. I will explain to you how. For example:- I am looking after a company named XYZ. For bookings of their personnel traveling for work. There are 3 people who have contacted me from the company to make their corporate bookings. Here I get a chance to explore and connect to new people. When these 3 people will go on a leisure or family vacation. They will think of me first as a travel agent to make the bookings. Because that 3 people have an experience of my work in their company. So I get work from the company also and an opportunity for their leisure bookings also. So select whatever suits your personality. Corporate agent or only leisure agent. 4. Note Down Your Travel Interests. If you have selected to become a travel agent then it must be your passion too. Doing work without passion is no fun. If you want success make your work your passion. 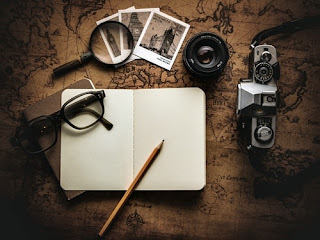 Make a destination list which you would like to travel. And find your most interesting destinations. For example:- I like going to Europe the most. So I will be more focused on selling a tour package to Europe. Here I will be able to explore more new things because it is of my interest. The client will also be completely satisfied by the work I have done. I will guide him to each and everything I know about Europe. I will make my bookings specialty for this country. Sell only what you know and have an interest in. 5. Be Well Traveled to Develop Good Know How. If you are going to sell something in your business or at a job. You cannot be unfamiliar with what you are selling. For example:- I am selling a package to Las Vegas to my client. If my client asks me questions about the place. I should know what to answer them. If I am not able to explain what is famous in that city. The client next time won't be doing bookings with me. I should travel to Las Vegas at least once before I start selling to other people. Do you know why travel agents get huge discounts on travel? This is the reason. So that they can travel and provide good information to clients. If you know a foreign language that is an added advantage. If you want to become a travel agent who is successful. Then you must be a great marketer, networking expert and a confident person. You have to be confident because you have to convince your clients for the best tours you are offering. Work on developing your communications skills day by day. All the conversion which happens after you cold call or email a client. Depends upon the communication skills you have. Make yourself organized as you will be dealing with many itineraries. If you do not organize yourself there are chances you will start losing your clients. Complete your tasks on time to achieve success. Don't be lazy and keep your work pending for the next day. 7. Education Required to Become a Travel Agent. You do not need higher education or a master degree. You need to have a high school diploma that's all. But nowadays if you chose to complete your university studies in a travel career. You have a brighter opportunity to get hired fast. If you do not choose to work with some travel agency and decide to do an individual travel business. You can start it in 7 days after getting certificates and registrations done. 8. Travel Agent Training Course is an Added Advantage. You do not need any higher degree to become a travel agent. bright candidate to be selected by your clients for work. Clients build up more trust if you have done a certified travel training course. From a good university. Search for a good course nearby in your area. Go to local community colleges, industry associations, Private universities etc. The training should be on giving you knowledge about. Reservation systems, Package bookings, Group handling, Personality traits, Travel Regulations, Marketing etc. You can also opt-in for a degree in travel and tourism. Some of the universities which offer this degree are. University of Southern Mississippi, East Carolina University, Strayer University, Johnson & Wales University. You can become a travel agent by choosing one of the certified course. This will help you to give a boost in your travel career. You can opt-in for a certified course offered by The Travel Institute. The certificates are CTA (Certified Travel Associate). CTC (Certified Travel Counselor) or CTIE (Certified Travel Industry Executive). Doing this course will help you to become a travel agent with excellence. These certificates will help you to showcase your expertise. And professionalism towards your work. After you have done this certified course. Many institutes provide in-house recruitment's. You can get recruitment opportunities from some of the famous travel agents on campus. 10. Get a Job in a Travel Agency. Now when you have done all the above courses you are ready to become a travel agent. You can select a good travel agency nearby your home to apply for a job. Make your resume stand out. By showing that you have done and completed travel expertise course. Attach your certificate copy with your resume. Apply jobs in big companies only. Small companies won't provide you with proper exposure. Small companies have limited clients. When you work for a bigger company. You have many sources to capture and tap on different clients. You get to learn new things in big companies. Professionalism is on higher levels in big companies. You have to choose between a good job or your own business. If you chose business. Then register your business first and get a travel agency license. Registration depends upon the country to country and its local laws. In some country business registrations is a simple process. Like in India if you want to open a business you will take only 2 days to start your own business. For registration of your business. You need a good name. Select your name and approach a lawyer or tax accountant to get your business registered. There are many types of companies. Like LLC, Partnership, Proprietor etc. Select which suits you the best. I will suggest you ask your tax consultant which company format is best suitable for you. The license is generally termed as a DBA license which means "Doing Business As". 12. Get a Travel Agency License. If you select to do your own business. There are two types in it. One is offline and one is online. Online travel agents are more than offline. As online is easy to explore and helps in connecting to new people. You need to get a Travel agency license if you select to become a travel agent on your own. There are different criteria needed to get a travel agency license. There are different rules and regulations according to the country you are in. In the USA there are sellers of travel agency license. They know every rules and travel laws. You have to also register your business to get this license. States like Florida, Lowa, California, Washington have such sellers. You can get an agencies license and start your business. There is also an option of a Host company. You will do your business yourself. But if you do not have a booking platform. This Host company will provide you with their platform for bookings. 13. Join a Travel Organization. Whether you select to do a job or a business. You will need networking and contacts. To build contacts and networking with other travel agents in your area. Join a Travel organization such as "American Society Of Travel Advisors". You will have a great opportunity to explore. Learn about new travel tools. You will get invited to seminars, expos etc. Joining an organization after you become a travel agent. Is very beneficial for networking.